Good morning, everyone! It’s the Friday race to Shabbos. We’ve been trying to finish 30 minutes before candle lighting for a more relaxed atmosphere. The more that gets done Thursday, the better things run on Friday. Here are a few Friday musings I’ve been wanting to share. One of my biggest challenges is having a cleared counter space. It has the things from Thursday’s shopping plus dishes to be washed as well as dishes to be put away. Somehow I can’t manage to do this Thursday evening. In theory, I could get up early on Friday, but regardless of the time I wake up, my kids have a sixth sense I am no longer asleep and also decide to wake up. Delegating this activity hasn’t been successful, either. I generally don’t use paper and plastic because of the cost and wanting to save the environment. I don’t mind washing plates, bowls, and utensils because they are easy. It’s things like the blender and big pots I hate. Too bad there aren’t disposable versions of those! Another challenge is the showering and bathing everyone. There are 8 of us and one shower. Three members of the family want to go in at the last minute and that is problematic. Then there are the rest who I can get in sooner than later, but even with a set order, there are still arguments because someone wants to keep playing. At least there is plenty of hot water in the summer because it is heated by the sun. Other than the kitchen, the rest of the house is easy to straighten. I don’t have clutter and everything has a place. While easy, it is still time consuming. My little army of helpers are quite good at assisting. Here’s the method: take sponga stick (a squeegie at the end of a stick) and push everything into one big pile. Next, return the items to their proper homes. I have been more ruthless lately about trashing drawing and party prizes. I can’t keep it all. I wish I could rope of the kitchen with one of those ‘police line do not cross’ ribbons. It is a chronic problem daily. All day. Everyday. Going into the kitchen and peering into the fridge. It doesn’t matter if I have a meal prepared and on the table or not. It doesn’t matter if I’ve set out drinks and snacks or not. The kids make a beeline from the front door to the kitchen. It is extremely frustrating. Since my husband loves to cook, the kitchen is his domain on Friday. My job is to keep these darlings out of the kitchen, get the house orderly, oversee the showering, deal with the dishes, and keep the peace. We make early Shabbos in the summer. Today the soonest candle lighting is 6:16 local time. It is not yet 1:00. I am not sure how to structure the afternoon, as it is hot outside, the indoor space is small, and I have to do all the above tasks. In any event. I am happy it’s Friday. I am looking forward to Shabbos and unplugging from electronics. I am typing this as I drink water flavored with lemon and mint trying to stay hydrated. I am trying to stay patient, but I think I’m a “6 on a scale of 10”. The baby is napping and keeping everyone from shouting or singing or klomping (making cards jump from the air when you bang on the floor). I’ve had two crosses over the imaginary kitchen line in the past ten minutes. 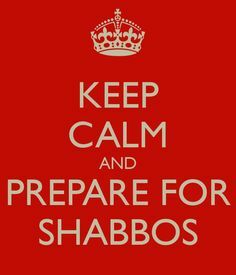 In any event, Shabbos will arrive whether I am calm or not. I am choosing calm. I may have a few slip ups, but I’m doing OK.
Have a peaceful Shabbos. Thanks for reading.